A big welcome to Kim Fielding today. Kim is celebrating 5 (yes you read that right) new releases this month. When we first moved to Lincoln, my husband and I were newlyweds. And I knew he really loved me when he let me drag him halfway across the country. We lived in a crappy apartment near the law school for our first year there, but then we bought a house. It was small and over 100 years old, and it came with a spider-infested basement and a lot of quirks. There wasn’t a right angle anywhere in that house. But it certainly had character and our monthly house payment was about $280. Really. During our time in Lincoln, we became truly acquainted with the “interesting” weather of the Great Plains. During our first winter, temps with the wind chill dropped to -67F. Nebraska doesn’t get as much snow as some places to the east, but a foot of snow all at once is a lot to someone more accustomed to West Coast conditions. Then there was the time I nearly killed myself trying to walk to school after a bout of freezing rain. But winter wasn’t even the worst of it. Spring meant 7 inches of rain—in one afternoon!—and hailstorms bad enough to destroy roofs. And, of course, tornadoes. One of those sent shopping carts flying into our (new!) car at over 80 mph, doing over $4000 worth of damage. Nebraska doesn’t have the topographic diversity of the West. Most of it is really, really flat. Not a huge amount of ethnic or culinary diversity either. And unless you’re a Cornhuskers football fan—which I wasn’t—there’s not a ton of excitement. Our big thrill was getting to spend an occasional weekend in Kansas City. But Lincoln was a great place to go to grad school. It was cheap. There weren’t many distractions. People were friendly. And after a while, we came to realize that Nebraska has charms all of its own. Fireflies! Good steak! Gorgeous lightning storms! A town called Wahoo! I have fond memories of my years there, and I was delighted to choose it as the setting for my new book. And aside from Festivus, I have four additional new releases. I’m doing a Fieldingpalooza tour, complete with prizes. You can find all the details on my website. Please come join me! 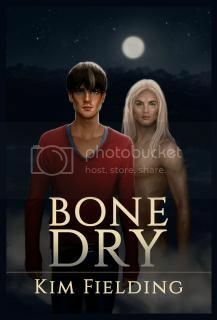 Bone Dry—book 3 in the Bones series— available now! 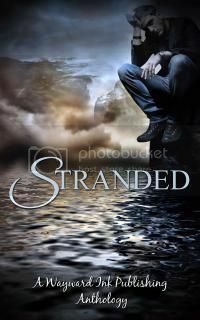 Standby—in the Stranded anthology— available now! 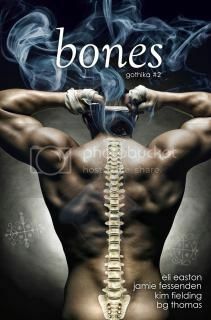 The Dance—in the Bones anthology (Gothika vol. 2)— available now! 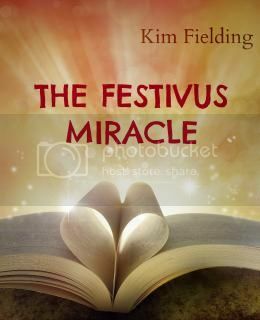 The Festivus Miracle—releases November 1—all proceeds go to Doctors Without Borders— available now for preorder!